Recently a Rise &apos;n Roll Bakery and Deli popped up in Southwest Fort Wayne. Even before I stepped foot in the door, I&apos;d heard a lot of buzz about the amazing donuts they were cooking up. So, I decided to check it out for myself. I was in for a real surprise! 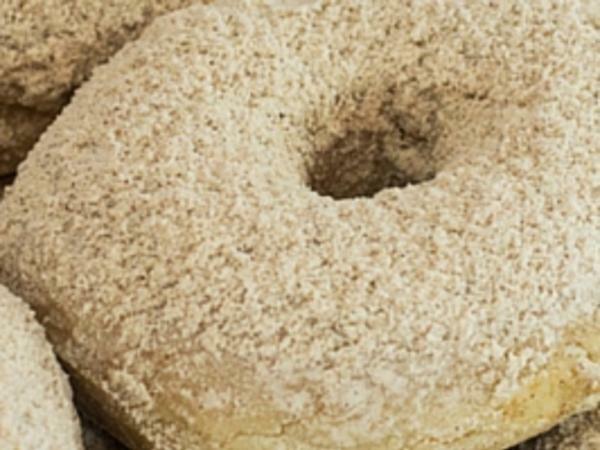 Not only does Rise &apos;n Roll turn out some of the best donuts in town, they also serve up an amazing breakfast and lunch menu. Walking into the small bakery and deli is like walking into an old time shoppe. The tables are clean and close together to leave room for the market. Many of the amazing products are available for sale to take home. Grab a jar of homemade jam or apple butter and a loaf of bread to eat it with. If you liked the chips you had with lunch, you can buy a bag to take home with you! Same goes for the meat and cheese! There is a meat counter in the back of the shop where you can pick out any quantity and variety of meat to keep the fresh sandwiches coming even at home. But back to the lunch! After much debate, I ordered the "Surreal Meal Deal." It was a chicken salad sandwich on my choice of fresh bread, with veggie chips and a slice of fruit pizza. I also took advantage of the free coffee! The sandwich was huge, and the chicken salad - made fresh in house - was piled on high. The veggie chips were good and a healthy alternative to regular potato chips. The fruit pizza was delicious as well, though very rich. They certainly didn&apos;t skimp on the food! I was planning on finishing with one of their famous donuts but was too full after the meal to even think about it. The bakery and deli also serves a variety of ice cream products if you save room for dessert. Help yourself to a variety of sundaes, milk shakes, and cones, or try one of their other dishes like the Hurricane or Peanut Tsunami. Both my co-workers were also very pleased with their respective meals and surprised at the amount of food given for the price. All the sandwiches were stacked high with meat, and there was no doubt about the freshness of the food. Rise &apos;n Roll really is the real deal. Delicious fresh food prepared in house by friendly staff. They have a big variety so there is a little something for every taste bud, including vegetarian and gluten free options! I just went in to take some pictures, ended up staying for lunch, and now I will certainly be going back. 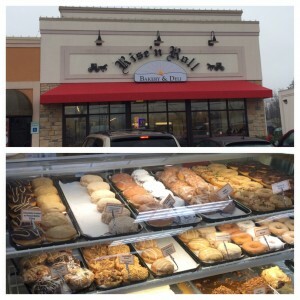 If you haven&apos;t been or thought they only made donuts, Rise &apos;n Roll is definitely worth a trip!